This award is given to teachers who have been licensed with Musikgarten for 4 or more years and who offer their families the opportunity to grow with Musikgarten by offering four or more levels of Musikgarten curricula. This award was conceived to recognize those who understand the long-term commitment required when pursuing serious education and musical goals, both on the part of the teacher and student. Musikgarten Exemplary Program Award 2011! Musikgarten, a leader in early childhood music and movement education and group piano instruction, held its 13th annual Musikgarten Teacher Festival from April 29th – May 1st in Greensboro, NC. Teachers from all over the United States and Canada participated in three days of music-making and seminars, covering topics from group piano teaching techniques to helping parents understand the importance of aural methods in music education. During the Festival a select number of teachers were recognized for their outstanding Musikgarten Studios. Janet Maass Fitz of New Holland was awarded the 2011 Musikgarten Exemplary Program Award. This award signifies that Mrs. Fitz owns a music studio that offers a full complement of Musikgarten classes for children ages Birth - Piano. 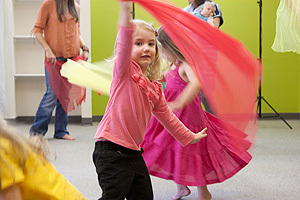 Mrs. Fitz's studio, Musikgarten of Lancaster, is one of only eighty-five programs in North America to receive this prestigious award for 2011. 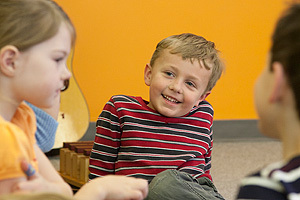 For more information on Musikgarten of Lancaster, email musikgartenlanc@aol.com or visit www.MusikgartenOfLancaster.org. 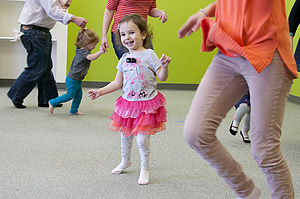 Musikgarten, based in Greensboro, NC, specializes in early childhood music and movement programs for children from birth to age 9 and group piano for both children and adults. The Musikgarten curriculum is widely recognized as essential in helping young children develop valuable social, emotional, musical, and physical skills. For more information, visit www.musikgarten.org. on Friday, May 6, 2011! What can be better than making music outside with family and friends on a spring evening??! Can't wait 'til we do it again next year!! MUSIKGARTEN IS HAVING A CONTEST! Musikgarten is running a contest for Musikgarten Parents on Facebook, and the prize is CASH - $125.00 for the parent who submits the winning entry and $75.00 the Musikgarten teacher in his/her life – ME! Just go to Musikgarten’s Facebook Page, http://www.facebook.com/musikgarten and submit your most compelling story of how Musikgarten has affected your child's or family's life. The contest begins February 8th and entries will be accepted through March 15, 2011. Entries must be submitted on Facebook, and must include my name somewhere in the story. Your entry may include photos or video, but neither are necessary. I hope you all will enter this contest. I know you all have great stories, and somebody is going to win a lot of money – just for writing on Facebook! on Sunday, Jan. 16, 2011.
at the Second Annual Baby and Toddler Expo!! Congratulations on receiving the Musikgarten Exemplary Program Award. This award is given to teachers who have been licensed with Musikgarten for 4 or more years and who offer their families the opportunity to grow with Musikgarten by offering four or more levels of Musikgarten curricula. This award was conceived to recognize those who understand the long-term commitment required when pursuing serious education and musical goals, both on the part of the teacher and student. We are happy to be able to recognize you for your efforts. Once again, congratulations on receiving this award! Our Musikgarten families gathered to experience live music making with family and friends on Friday, May 8 at 6pm. We all enjoyed a beautiful spring evening of singing, dancing, drumming, and special music from our Keyboard students! What a treat it was to celebrate making music together, including family members from as far away as Florida and California! Be sure to attend the next Family Music Night for more family FUN at the conclusion of the Fall semester! MAKE MUSIC A PART OF YOUR CHILD'S SUMMER FUN! Click on Summer Camp for more info! Come meet some new (and old!) friends and enjoy lively discussion as we explore child development, and HOW MUSIC AND MOVEMENT MAKES A DIFFERENCE in your child's development, and of course a bit of joyful music making! Also available at the Spring Parent Meeting for your review is an excellent new publication from Musikgarten called "The Neuroscience of Music". This collection of articles, written by renowned neuroscience educator, Dr. Dee Coulter, addresses what parents are concerned about most: behavior, school readiness, and potential for creativity. I'm sure you will find this publication an excellent resource! Highly reccommended! I look forward to seeing YOU at the Parent Meeting(s) on Saturday, FEBRUARY 7, 2009! Children from Musikgarten of Lancaster shared their musicmaking with the residents of Garden Spot Village on Wednesday, August 22, 2007. Garden Spot Village residents were delighted with the children's dancing, singing, and piano playing! The children look forward to visiting Garden Spot Village again soon!